Gold made headway for the sixth day in a row in heavy trade on Monday as the metal continues to make up lost ground following Donald Trump's victory and as the dollar weakens and interest rates in the US trend lower again. 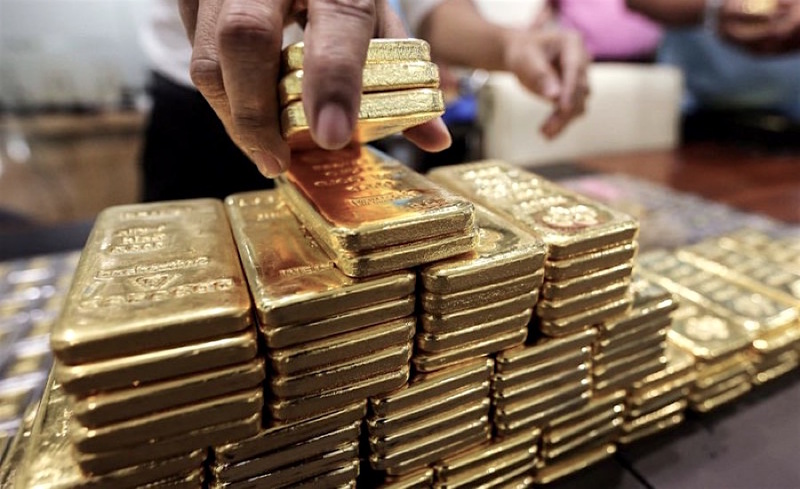 Gold for delivery in April, the most active contract on the Comex market in New York with nearly 16m ounces traded by lunchtime, hit a high of $1,264.90, bringing its year-to-date gains to nearly 10%. Gold is now at it's the highest since November 11, erasing much of its losses since the US presidential election. Because gold is not yield-producing and investors have to rely on price appreciation for returns, the metal has a strong inverse correlation to US government bond yields, particularly real rates after adjusting for inflation. The metal also usually moves in the opposite direction of the US dollar. Gold bears had been making big bets that Trump's plans for fiscal stimulus, including a $500 billion infrastructure spending program, will lead to strong US economic expansion, higher interest rates and a more robust dollar. David Wilson, head of metals research at Citigroup, tells Bloomberg TV, that gold should top $1,300 towards the end of the year as the "Trump reflation trade" reverses and subdued real interest rates, coupled with moderating dollar strength, provide "positive momentum" for the gold price. Wilson says gold is also attracting buying over political concerns about upcoming elections in the Netherlands, France and Germany and the impact on the European Union. Another factor in gold's favour is renewed, albeit modest, gold ETF buying with a net 63 tonnes flowing into listed funds last week.